Each year over 6,000 green industry professionals gather in Denver, Colorado for four days of dynamic educational sessions with over 250 exhibiting companies highlighting the latest technology, products and services in the industry. 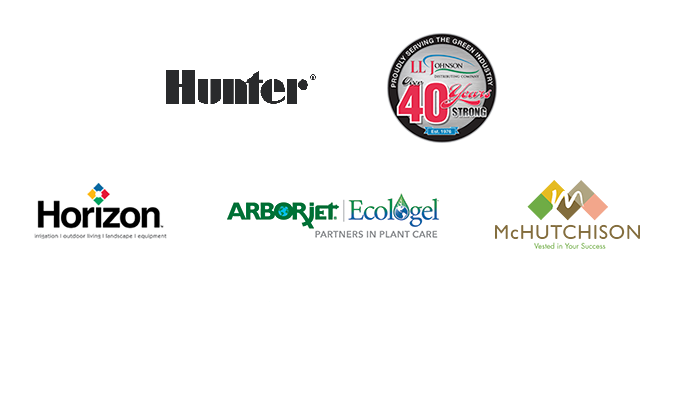 ProGreen EXPO offers numerous sponsorship opportunities to expand your presence in the ever-growing green industry marketplace. Sponsorships are available at all levels and some are just slightly more than the cost of a booth. Don't see a sponsorship opportunity that you're interested in? Please contact ProGreen EXPO to create custom sponsorship opportunity or package that fits your needs. We encourage all companies, regardless of size, to consider a sponsorship as a way to expand your presence in the ever-growing Rocky Mountain green industry marketplace. Sponsorships are available at many investment levels. Please contact Mary at mary@kinsleymeetings.com to learn more. ProGreen EXPO offers the opportunity for exhibiting companies to donate plant material (potted plants, flowers, trees, etc.) to help make the conference GREEN! Plants will be displayed in the EXPO, at the entrance to the EXPO, registration and other areas throughout the conference. Recongition as a Product Sponsor will be displayed through social media, attendee email blasts, and the mobile app.